Thank you so much! For listing my house and being my agent!! Mr. (Dan) Gouveia!! and especially Stephanie his assistant, for helping with the process! After the first deal fell through, the second deal was worth the wait! I hope the new owners are happy and enjoy their new home! The Best!! Dan and his team are amazing. They made the difficult and stressful time of selling and purchasing a home so much easier. I would highly recommend if you are in the market for a realtor. Dan and his Gouveia Team were exactly what we needed; professional, honest, and frank. To sell a high-end home in a low-end market takes patience, time, and great marketing. Dan and his hard working team provided not only true professional pictures and targeted marketing, but even staged our home. The home did take time to sell and Dan was there providing insight and encouragement. The post sell benefits including helping with closing paperwork and the use of his free company moving truck were simply the cherry on top, there was no other option but Dan Gouveia! Dan Gouveia is the best realtor. He is very knowledgeable and honest. We knew that we were in good hands when it came time to sell our townhouse. He is always willing to listen to your concerns and come up with solutions to any problems that may arise during the selling process. We are very lucky to have him as a realtor and would highly recommend him and his team to anyone. He is very honest hard working realtor. Dan and his team (Stephanie and Courtney) were always very helpful and on top of things. They were in constant communication with me via phone calls, emails, and in person. In addition to being very knowledgeable, they are also very friendly and personable ,which made the process much more enjoyable and less stressful. I would not hesitate to use them again (though hopefully I am done moving!) or recommend them to anyone looking for a realtor in the Taunton/Raynham or surrounding areas. I sold my house through dan Gouveia and his team and I couldn't have been happier! Dan was very helpful throughout the whole process and Stephanie benton did an amazing job staging my house and keeping me up to date on everything! I would definitely recommend the Gouveia real estate team to anyone who is planning on buying or selling a home! Dan Gouveia in my opinion is the best type of agent. He is calm and doesn't seem to get rattled at all. Because of this the seller, (in our case) have an easier time dealing with all the bull! Selling or buying a home is one of the most stressful things one can do. Dan does his job very well and eases that stress. I highly recommend Dan and his team for all you real estate needs. Very pleased with all aspects of The Gouveia Team. They did an excellent job beginning to end. Very helpful and knowledgable. Hard working! Handled with top notch professionalism. Would highly recommend them! My wife and I were first time home buyers. Dan and his team made the experience SO easy. We could not ask for a better group of people to help find our home. Dan sold our home. Dan and his team were amazing. He kept us up to date on the process. He sold our home in 8 days, for asking price. Stephanie was right there to stage our home and answer all our questions. Jennifer was vey quick answering emails and handling all transactions. We would highly recommend Dan and his team. We were very pleased with the entire experience. I wouldnt reccomend anyone else! Dan helped us buy our 225k condo! We had a budget and very specific mortgage plan. Dan was able to negotiate with the sellers and get us everything we needed in a very timely manner. Absolute pleasure to do business with! Dan assisted us in the sale of our home and purchase and design of new construction. He was knowledgeable and available throughout both processes. Dan treats clients like old friends, which is so helpful when dealing with stressful real estate transactions. He and his associates made me feel like I had an elite team working for us! Dan and his team takes pride in their business. We received honesty from Dan right from the beginning of the process to selling our property. He made it clear to us during our first meeting that he wanted to display honesty or else he didn't want to take the business. In addition, the Gouveia Team seems very caring about their clients. We have an unique situation that makes leaving our house for showings a difficult task. Dan toned down the number of showings per week that was suitable to us. Every Gouveia team member is a pleasure to conduct business with. Thanks Dan and team! As first time home buyers, we were nervous about the process, but Dan and his entire team made it so comfortable for us every step of the way. They were proactive, responsive and incredibly trustworthy. Their recommendations on our home inspector and attorney were excellent, every document was explained to us thoroughly, and the e-doc signing made the process so easy. Most of all, they treated us like they genuinely cared! We appreciated all they did for us and would absolutely recommend this team to anyone looking to buy or sell a house! I chose Dan as my realtor when I decided to sell my multi family. I had dealt with realtors before in the past so I had not expected anything above or beyond what had been represented to me then. So when Dan had presented to me MULTIPLE statistics of similar type homes that had sold within the past year I was very impressed. And when he said let's get in the car and drive to houses in the area that were on the market and go evaluate them to my house I was also impressed. Every phone call or email I had sent was returned to me in a timely manor. I felt as if he was right on the ball and even with some major construction needed on the basement, Dan was able to get the P&S signed in less than a month. I highly recommend. Job well done very helpful and knowledgeable throughout entire process with contacts for all your needs as well as a great team that gets it all done behind the scenes Thanks Dan! We sold our home today!  We chose to work with the Gouveia team because they were highly recommended by a family member. We are so glad we did. Dan, Lindsey and Jennifer are a great team to work with. They are professional, knowledgeable and they work hard to please their clients. What I really like about this team is how quickly they respond to emails and calls, customer service and communication is a top priority for this team. I will recommend the Gouveia team to all my friends and family. When we asked dan to sell our house, we already knew about his great reputation. What we didn't know is all the other benefits. It seems like this guy knows everyone in town! When we listed our house, his professional photographer did a great job showcasing the house. However, whatt I didn't expect was how awesome his stager is! Stephanie helped us stage our 3800 sf house in one day. And I mean decluttered, cleaned, vaccuumed, and brought in all new decorations. I almost don't want to sell now. We can totally see the difference between the staging the Gouveia team does vs the rest. Daniel is diligent in all he does - he sold our home after we previously listed it with 2 brokers neither of whom brought us an offer. He publicized very effectively to bring in buyers to open houses, showings, and "get the word out". His hard work paid off by bringing in 3 offers, one of which ultimately proceeded to purchase. Dan and his team were very professional.Dan kept us updated with the various changes and issues that arose thru out the process.I would highly recommend Dan to anyone seeking to sell their home. What a pleasure to write a review . I am so happy that I had The Gouveia team to help me every step of the way. Dan Gouveia , was amazing always making sure everything was completed and done to my satisfaction. Guided me threw out, every step when I needed help. His assistant Lindsey was a miracle in so many ways. So professional and knew how to handle what was needed when needed since this was all my first time in building a home and buying property. Anyone that chooses this real estate team surely will be lead in the right direction and never let down. Dan was excellent in the purchase of our new home. Dan and his staff were very responsive in accommodating us throughout the process. Thanks Dan and your team! Dan was very trustworthy. His expertise in staging our home was very helpful. He is very diligent and was always available if we had any questions. Our open house brought in many potential buyers and we sold our house very quickly. We were pleased with our entire experience with Dan. Dan and his team (especially Lindsey) went above and beyond with the sale of our home! The team was easily accessible and helped us tremendously! From our first meeting, and until after closing, we were given great service! Thank you so much! Dan Gouveia has made the daunting task of selling and buying a home more seamless and pleasant than we ever could have anticipated. From finding amazing buyers within a few days of meeting him to helping us make an appropriate offer that was immediately accepted on our new home, he has gone above and beyond to ensure there are no issues with the process. We will recommend Dan for years to come and can't thank him and his attentive team enough!! From step one Dan was nothing but professional and knowledgable. From having me fill out a survey prior to meeting with me, doing extensive research into the comps, taking time to meet with me at my house and making me feel comfortable is what made me decide to go with Dan. He was in touch throughout he whole process and was able to sell my house well before I had expected. Dan and his team is great and I would highly recommend them to anyone. I sincerely want to thank Dan and his team for all their hard work. Although it took me almost 6 months to find the "right one", both Dan and Lindsey were extremely patient with me and always there to answer phone calls and/or emails. I was very impressed with their knowledge and ability to inform me of all my options, making me comfortable when it was time for me to make decisions. When I did find the exact house I wanted, the process went very smooth and we were actually able to close a day early. Right after my closing, I was able to use Dan's moving truck and was completely moved in to my new house, the next day. Thanks to Dan, Lindsey and the rest of the team, I am another happy homeowner. Dan Gouveia and his team have gone above and beyond in their efforts to sell my mother's home. He has worked tirelessly to negotiate details and market this property. If you are looking for a true professional and a personable agent, I would highly recommend Dan Gouveia. From our very first acquaintance, I have had the feeling that I was dealing with a knowledgeable, experienced, professional realtor. Dan has surrounded himself with a team of people who are outstanding in their contributions toward the success of his company. Individually these people are tops in their field, together they work as a smooth running automobile. With Dan behind the steering wheel, his personnel, his office, and it's sterling reputation are heading in a positive direction. We have only dealt with Dan and his staff for less than a month,in that short time they have kept us informed,returned our calls and have sold our house,what more can anyone ask for. Dan has done an amazing job selling our property. We found Dan super knowledgable and passionate about getting the word out to sell our property. My wife and I would highly recommend Dan when selling or finding your new dream home. When we are ready to move again we will be sure to call Dan and his team to get the job done. I promise you, you will not regret your decision to hire Dan to do the job. We would highly recommend Dan & his team to everyone who is thinking about selling there home. Because, from day one we were very comfortable and confident that they would sell our home quickly and they did just that in one week. We are very satisfied with the service and even got to use Dans fifteen foot moving truck as a courtesy. If you want the best realtor he's definitely the ONE. Since my first meeting with Dan, I knew my home was in great hands. The marketing plan, market analysis and listing process were impeccable. Thanks to Dan and his team, my home was under agreement in 2 weeks! Dan was referred to us when we decided to sell our home. He met with us right away and we were very impressed with his knowledge and professionalism. We had 3 offers after our first open house thanks to Dan's excellent marketing skills. Both Dan and his assistant Lindsey were always available to answer any questions that we had. We highly recommend Dan and his team!!! Dan was knowledgeable and helpful during the listing and marketing process of my home. As a result, it was sold quickly with no problems. His capable staff was always helpful and supportive to me during the process also. We are so thankful for The Gouveia Team! We are first time home buyers relocating to MA, and Dan has been with us every step of the way. We heard back from him just minutes after reaching out and he met with us on his day off to get the process started. We appreciate his knowledge of the market and constant communication throughout this crazy process. When Dan wasn't available, Lindsey was in touch and able to answer and questions and take us to showings. Dan and Lindsey work so well together and made us feel comfortable asking any and all questions! We would absolutely recommend The Gouveia Team to our friends and family! Dan does a great job. He really pays attention to detail and keeps everyone up to speed. We found that Dan truly listens and communicates well. The home we purchased had a failed septic system which became a complication. Dan did a great job of coordinating all parties involved and keeping things moving forward. After living and working all over this beautiful country the last 43 years, we decided to retire back home in Bristol County. An old friend hooked us up with an Agent in Westport, but he was not as productive as I expected. We just happened across Dan while looking for homes on our own. Within 30 minutes of calling Dan, he met with us and took our wish list. The next day, Dan had numerous properties for us to visit. Within a week, he found our retirement home and we had an agreement. Not only is Dan an outstanding Agent...he is a great family man and friend. Don't waste your time - call Dan and find your dream home NOW ! My husband and I couldn't be happier with the service Dan provided during the process of selling our home. We were able to sell our home much faster than we anticipated, thanks to Dan's attention to detail and excellent availability. We have already started the process of buying our next home and we are confident that this next step will be just as great of an experience as it was to sell our home with Dan as our agent. This was our first time purchasing a home, so naturally my husband and I were feeling a bit nervous about all aspects of the home buying process. Thankfully Dan was there to help us through it. He was very communicative and kept us updated with changes and info. He is very honest and dependable. Thank you for everything Dan!! My husband and I had worked with previous realtors and were not successful in selling our house. So when Dan found us we were skeptical and nervous. However he has been able to ease our fears and work us through it all. Not only has Dan been our realtor but has also come to our rescue after the blizzard and plowed out our driveway. We put our house on the market in the dead of winter and this winter has not been very nice. This doesn't bother Dan he has no worries about it. Dan has climbed huge piles of snow to advertise our open house and continues to have a positive outlook on selling our house. Dan has not given up and continues to encourage us that we WILL sell our house. Thanks Dan! We owned a half million dollar home we couldn’t sell. We were the highest priced home in the entire town. A very small pool of buyers for our home. Dan was hired as third realtor in and sold and relocated us in 90 days coming off the winter months. He worked very hard in finding the right buyer that was willing to give us our price for our home. He did a great job in educating us when new homes came on the market that we were competing with and recently sold homes so we could reposition our home in the market place to end up into a sale. Dan and his team are the best! We found the Gouveia Team online when we were looking to purchase our new home. We completed the entire process electronically with Dan’s save in the cloud paperless transaction system, making it easy to access our contracts 24/7 from home by logging in from any computer. At time in our new purchase we needed immediate response to our questions and Dan always got back to us the same day. Dan has been to some our parties at our home and we welcome him and his team as family. We were able to purchase a fixer upper home through Dan and we can build our equity with our updates the way we want them. Dan negotiated seller paid repairs to allow our lender to approve our loan. This is the value you received when you hire an experience realtor such as Dan that has seen just about every scenario possible that could come up in a real estate transaction. Dan was referred to us from a co-worker and we were very happy with his team’s services and follow up. As a builder I needed a Realtor that was going to expose my properties to as many buyers as possible, one that would supply me with updates and feedback. And with Dan’s past experience in physically building homes, Dan actually knows what he is selling and can answer many questions consumers have about the construction process which frees me up to do my own work. Dan sold every property I gave him in the most challenging market. I highly recommend Dan to anyone and I would use him in the future for sure. I have known Dan for a very long time. When it came to selling my home, he gave me alot of information that I needed that I didn't know about selling a home. I recommend Dan to anyone that is serious about selling or buying a home. He is upfront and honest. He will work for you. Dan was very informative and helpful throughout our home-buying experience. He used his knowledge and expertise in home repair to help us negotiate requests into our offer. He was friendly and hardworking throughout the process as well as resourceful. He followed up with us regarding any questions that we had. I would highly recommend Dan Gouveia and the Gouveia Realty team with Keller Williams. Great team all around! Dan Gouveia and his team were great to work with. They were always there to answer our questions. And we had many of them. The entire process was extremely fast and the team was able to sell and buy a home all in the same day. I believe in the begining with had some misunderstanding in regards to the listing price and how the property was to be shown. Once we we discussed the issues we were having and he and I worked out everything he has been great. He has given me feed back on every showing, explained what and why the next steps would be, I would recommend him highly. Dan did an excellent job handling the sale of our home in Raynham. He was very professional and easy to work with. He sold our home for what we wanted, when we wanted to sell it. We will use him again soon for another home purchase. We highly recommend him. Dan helped me sell and buy a house. His professionalism and that of his staff was top notch. The process was seamless, with 2 closings in one day. Couldn't ask for a better experience. Would work with him again and I have already recommended him to others. Dan was dead on with the advice he gave, my house had four offers the first open house and we closed eight weeks later. He and Melissa, his admin, are knowledgeable, professional and either take your call or respond quickly. Dan is currently helping me relocate and I will recommend "The Gouveia" team to anyone. Very Professional and Knowledgeable. Gave great tips in how to get the house ready for sale. He looked for the little things. Understands the market and the house was sold in a week! If we move back in the area, we would work with him again. i had tried to sell my house a few years back with another agent, and received very little activity. I just sold with dan gouveia in an extremely short time. part of this may have been the market, but I believe the main reason that my house sold with such ease this time around was due to dan and his team. he is obviously a busy guy who deals with a large amount of clients, but he always made time for me when I had a question or comment. his communication was great, I was kept in the loop at all times as to what was going on, yet everything was handled for me and I had very little responsibility of my own regarding the sale. as a busy person myself I greatly appreciated the fact that he has a team behind him to cover all the necessary bases. he provided advice and also listened to my input with regard to which of the multiple offers we had on the table, and we were able to make a great deal for everyone involved. I would highly recommend dan to anyone needing a realtor in the future. As a first time home buyer, Dan made the entire process from beginning to end easy and seamless. Dan was extremely helpful and patient with all of my questions, and was willing to explain in detail anything that I didn't understand. He walked me through each step of the process and explained what to expect at each next step. Dan was always responsive and always was available if I had a question or concern. And he was willing to work around my schedule to accommodate anything I needed. Now, as a first time homeowner, I have to thank Dan many times over for the great experience in the process of buying my first house. I couldn't be happier in my new home, and I thank Dan Gouveia and his team for that! Great first experience and would recommend him to ANYONE in the housing market. Thanks Dan!! My husband and I recommend Dan and his team to anyone who is looking for a new home. This is our second time working with Dan, he is truly the best. He helped us buy our very first home when we were starting out as a newlywed couple not knowing if we could afford a house or what the process was. He sat us down and explained everything. We found out, we in fact could afford a house and moved forward. We bought our first home with him, lived there for 4 years, now we are selling it and he is now the selling agent on it as we outgrew our starter home. Our home wasn't on the market long before going under agreement and is set to close the end of this month. He is in the process of helping us close on our new home. We couldn't be any happier or grateful for his help. My husband and I consider Dan not only our agent but friend. In the 4 years we owned our home he would call, email and pop in just to say hi. He is like no other agent out there. He is very professional and receptive to what you are looking for. He is also honest and will give you the information you need without sugar coating it. We also loved working with Lindsay his transaction coordinator. Lindsay is great and she has guided us step by step making things easy to follow and less stressful. Being a mom and wife while working full time life gets very stressful in general but looking for a new home on top of it you would think OMG... but with the help of Dan and Lindsay they make it enjoyable and exciting with minimal stress! Thank you both of you for being a great team and now lifelong friends! My wife and I cannot speak highly enough about Dan and his team. They recently helped us through not only the process of buying a new home, but also in selling our old home. We fully expected the process to be stressful and possibly difficult to accomplish in the timeframe we were hoping for. It was anything but! Stephanie did a wonderful job of making sure our old home was perfectly set to be shown and Dan, along with Stephanie and Courtney did a masterful job of marketing it to potential buyers. Having infant twins and a 4 year old doesn't make that an easy task. In less than 72 hours after the Open House, we had multiple offers on our home. The buying process was just as enjoyable. Dan made the time to get us into every home we requested to see, and there were many. Because of our busy schedules, we often had to go on showings at all times of the day on any particular day and Dan always made that happen. Anyone who has been through the process before knows that there are unavoidable pitfalls and an enormous amount of paperwork, requests from lenders, etc. The entire team kept in constant contact with us from the first scheduled showing, through all the buying and selling stages and all the way up until we signed the final papers on our old home and our new one. They took the pressure off of us by guiding us through the process and essentially letting us know what we had to do and when to do it. There efforts didn't stop there. Where other realtors may believe their job is done once they have gotten you into your new home, Dan and his team have continued to make themselves available to us and have made a point to be sure my wife, my children, and I are happy in our new home. I cannot imagine there is a better team out there. We are forever grateful for their care through this process. It was a true pleasure! 24, 3, 7, 32, 56. No, we are not about to hike a football those numbers represent Dan Gouveia and his excellent team. 24 families came for our open house which demonstrates to the Gouveia teams dedication to getting our house on and off the market in the quickest way possible while earning us the most money for our home. 3, the number of days it took for our first offer to come in once we were on the market and showing the home. 7, the number of months a different realtor had our home on the market without a single offer. 32, the number of showings we had in the first 14 days on the market not including our open house. 56, the number of families who toured our home the first two weeks on the market. To say that Dan and his team are the best would be an understatement, they really are the most dedicated, honest and kind realtor team in Massachusetts. Dan reached out to us after we let our contract expire with our old realtor, we were frustrated and disappointed after having our home on the market for over 6 months and hearing “It just takes 1 offer...The right couple will come along...your house is unique, it’ll take time” well in 7 months we only had around a dozen showings. Dan came in with a plan, he met with my husband and I twice to speak about price comparisons, our area, and how to sell our house. He made the process easy to understand, and gave us plenty of options, he even has his own FANTASTIC photographer who make me think twice about listing my home! When we let go of our old realtor we were told “i’m not sure what else someone can do to sell your home we’ve done it all I think” Dans team made me think twice about that his photographer captured every detail of our home, then the massive advertising blitz happened and the week of our open house we received a beautiful color advertisement with photos informing us of an open house in the area, turns out it was our home! The ease of scheduling showings to contacting Dan personally when we had a poor experience with one showing agent attests to the Gouveia teams promise to sell our home for the best possible price. We can’t leave out the other team members, Lindsey and Erin. They are just as accessible as Dan is and can answer every question or concern you may have. If you are looking for an honest, hard working realtor team look for Dan Gouveia and his team at Keller Williams, go ahead and interview other realtors you’ll see the difference in the way he doesn't push you for a signed contract the second he walks in the door like other realtors do, he gives you all of the information and lets you decide what is best for your family.